Keep your eyes on the ball. 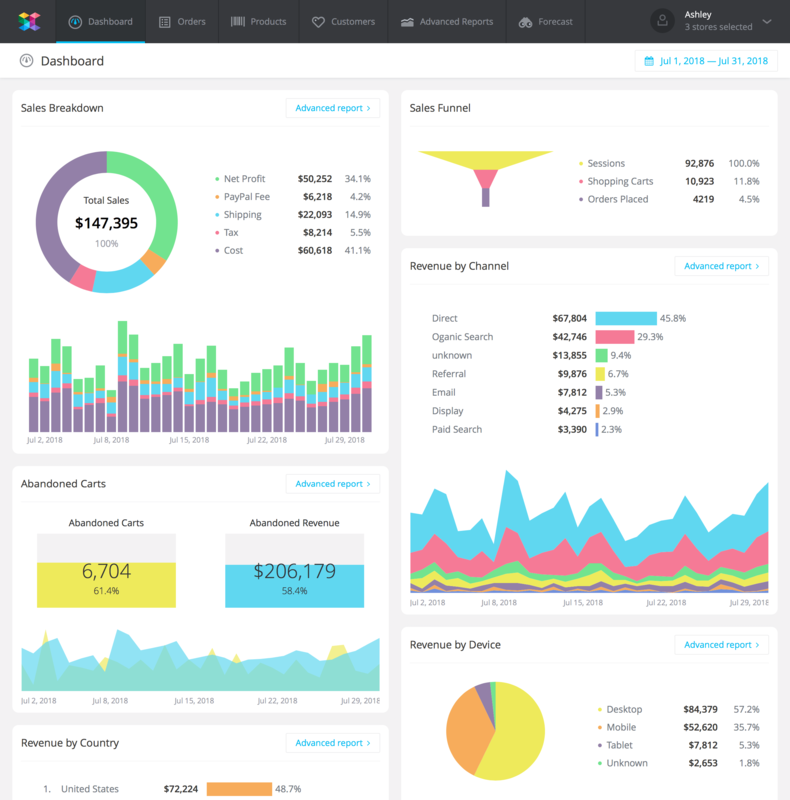 Instantly see what's going on with your sales and get insights on where your business is headed. 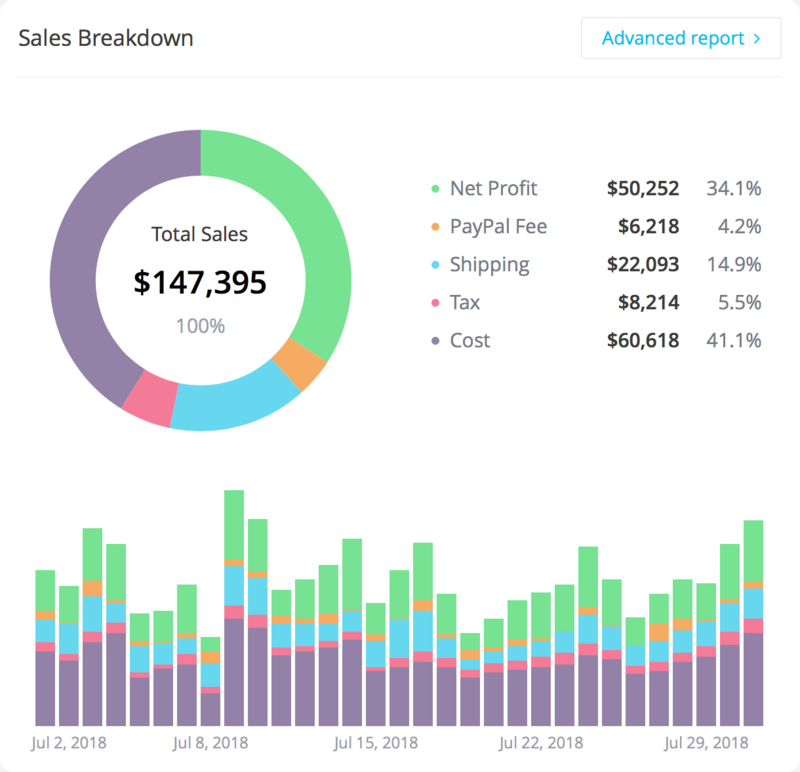 Find out how your total sales break down into shipping, tax, transaction fees, product cost, and net profit. See it day-by-day and for the whole period. See how well your visitors are converting into customers as they travel through your sales funnel. 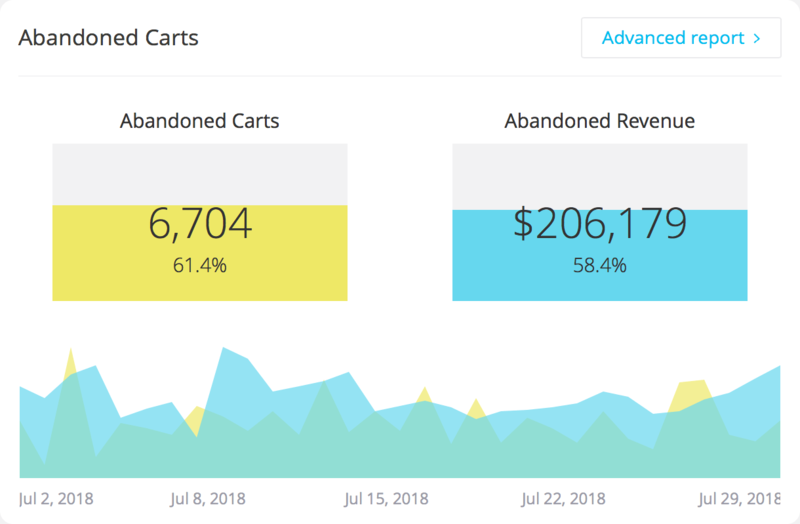 Be able to notice a spike in cart abandonment rate, which may be a signal of some major issues preventing your potential customer from completing their purchase. See which marketing channels are bringing most of your revenue, and which ones are underperforming. 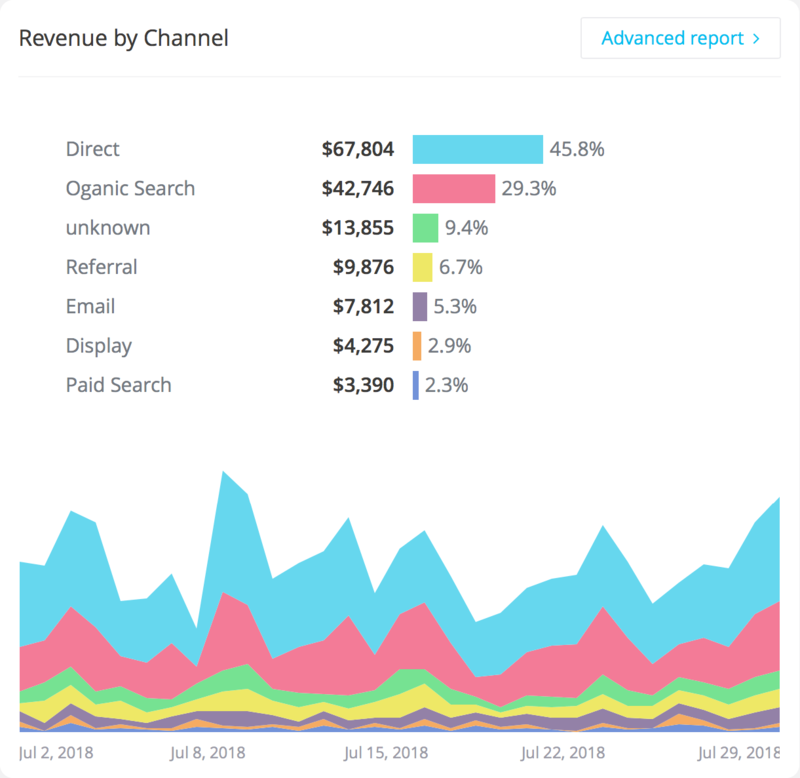 The chart shows you how revenue from each channel changes over time, which helps you spot any unusual fluctuations that might signal an opportunity or a problem. 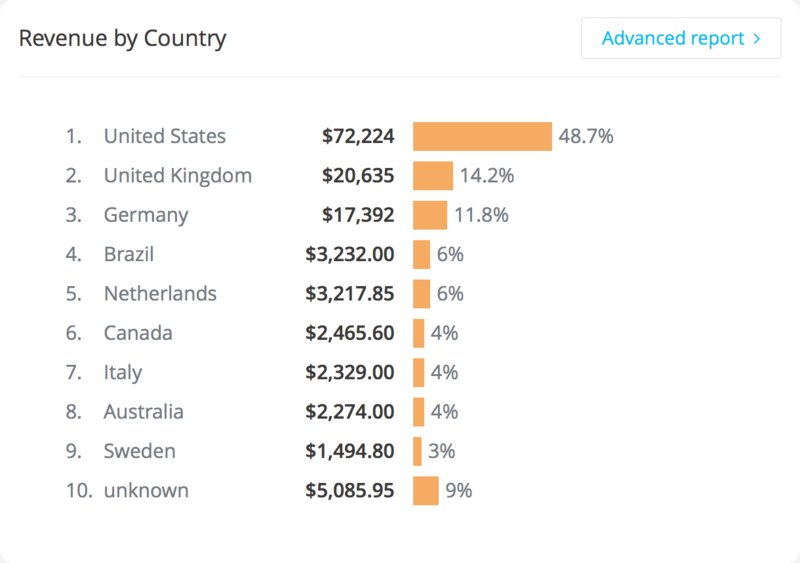 Track which countries your customers are coming from to be able to sense any new potential markets and adjust your strategy accordingly. 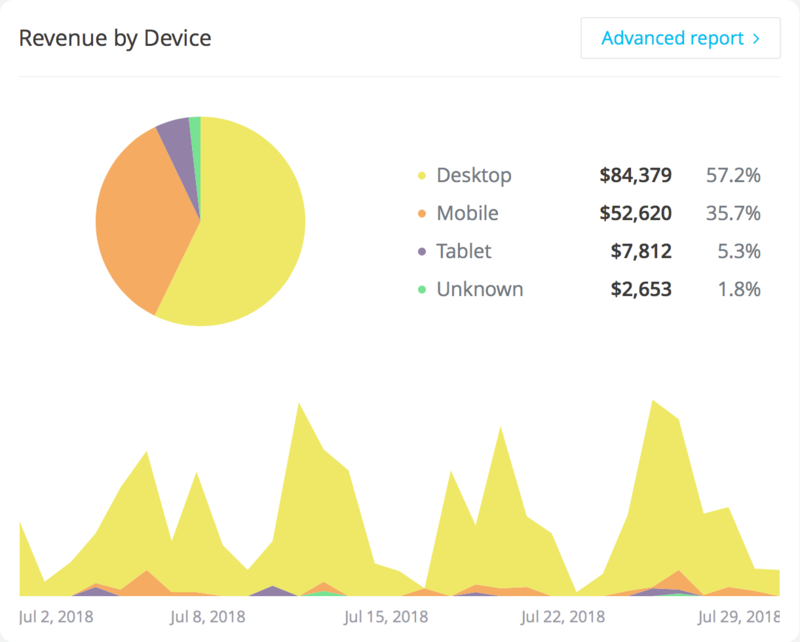 Find out what devices your customers use to buy from you. This might give you a better understanding of how your customers use your site, and whether you’re catering to them appropriately.